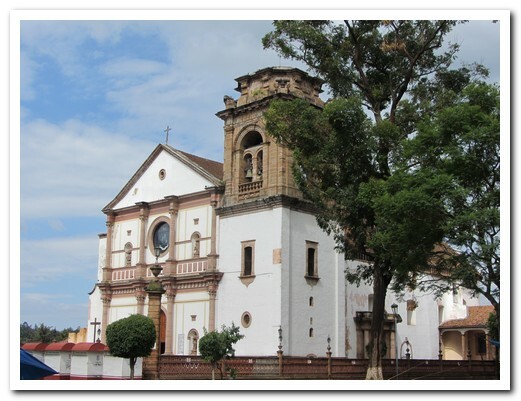 At over 2000 metres the Pueblo Mágico, Pátzcuaro  lies south of the mountain fringed Lake Pátzcuaro. 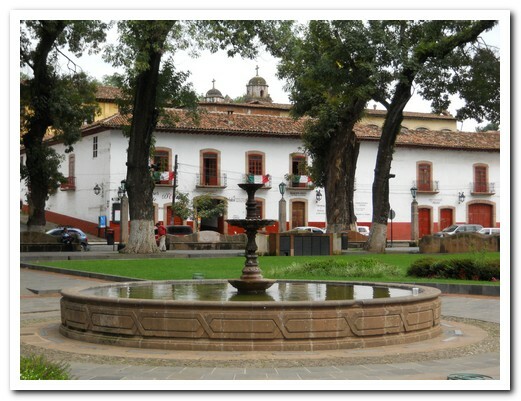 The bustling centre is all red and white adobe buildings with terracotta tiled roofs, colonial churches and pretty plazas. 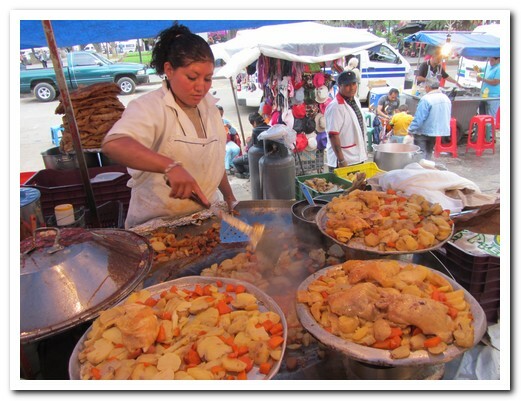 A busy market, where local food is cheap and good, spills out onto the streets. 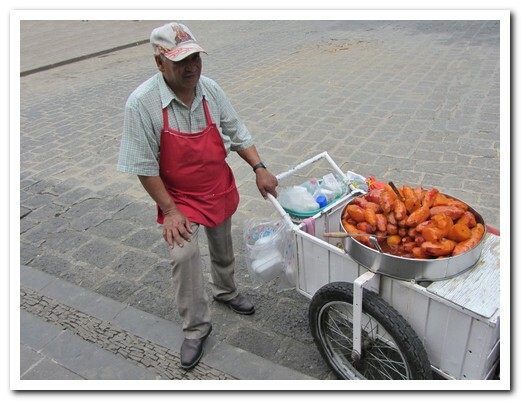 A huge plate of chicken with potatoes, carrots, cheese and tortillas smothered in sauce, more than enough for 2, is less than $10. 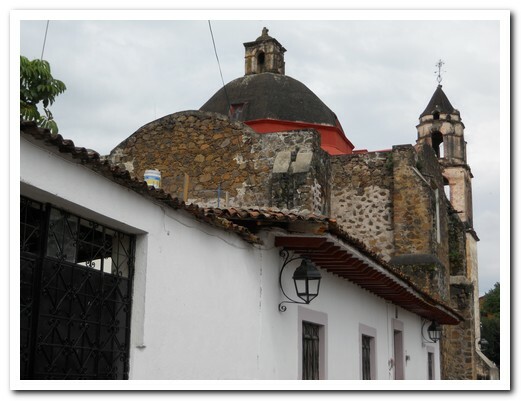 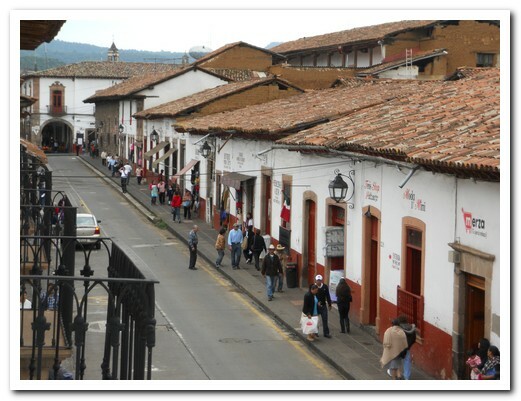 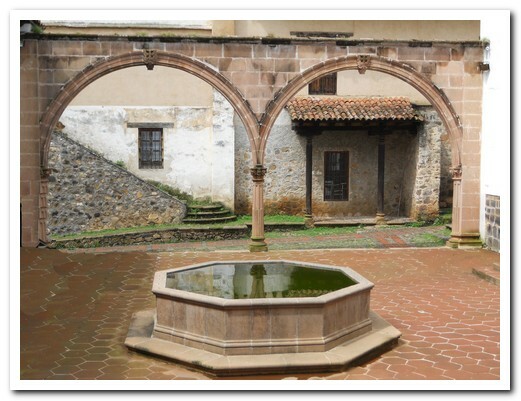 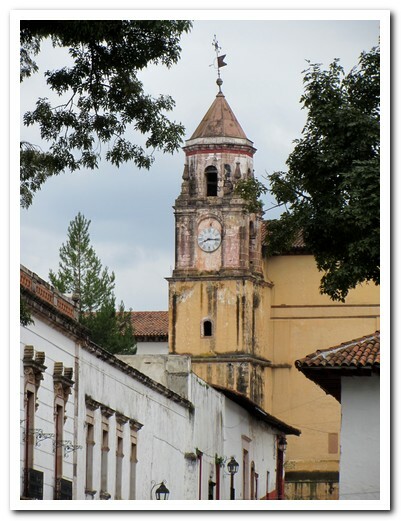 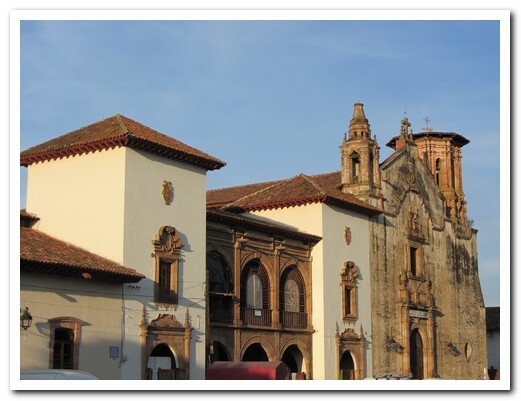 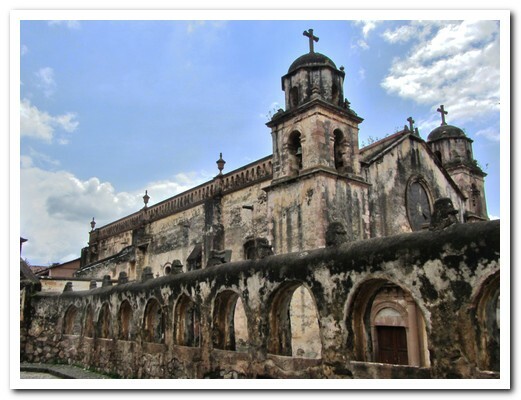 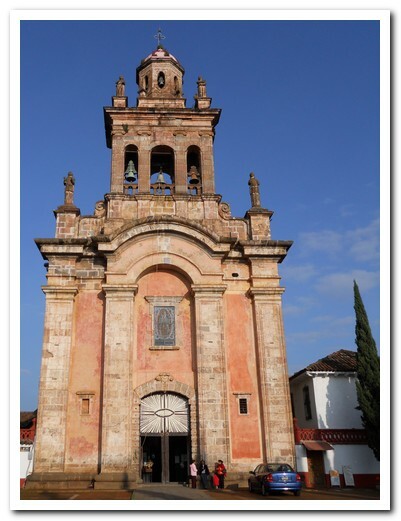 Pátzcuaro is one of our favourite Mexican pueblos. 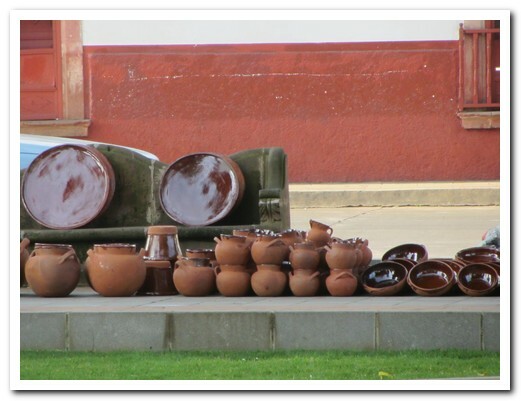 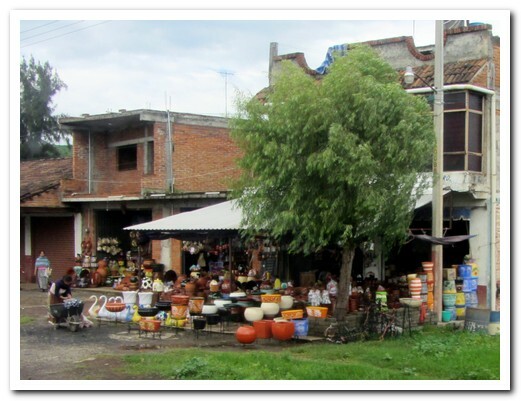 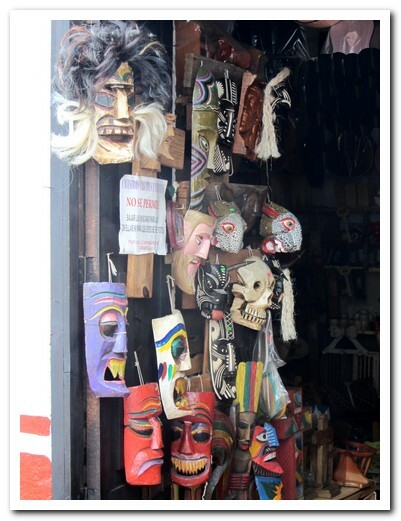 The small Purepécha villages that dot the lake each produce a different handicraft such as pottery, wooden masks and fine needlework, their wares displayed outside to attract passersby. 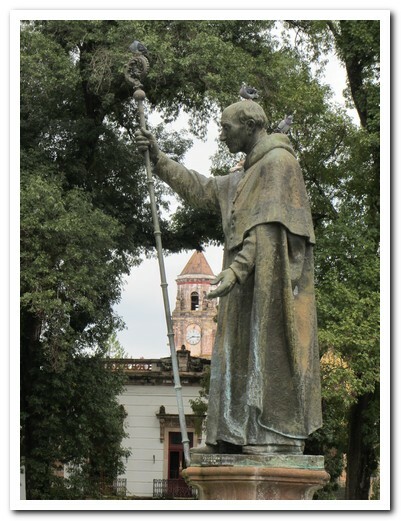 Vasco de Quiroga (1478-1565) established these crafts and did much to protect the indigenous from the worst abuses of the Conquistadores. 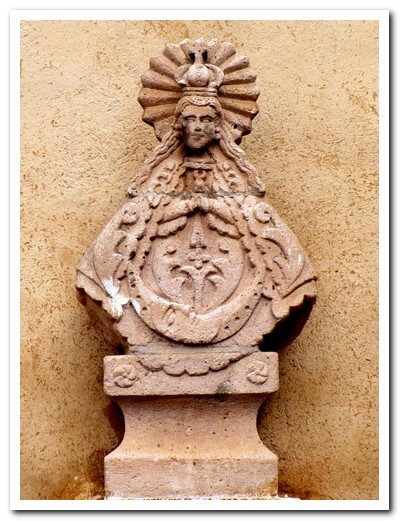 Today he is revered. 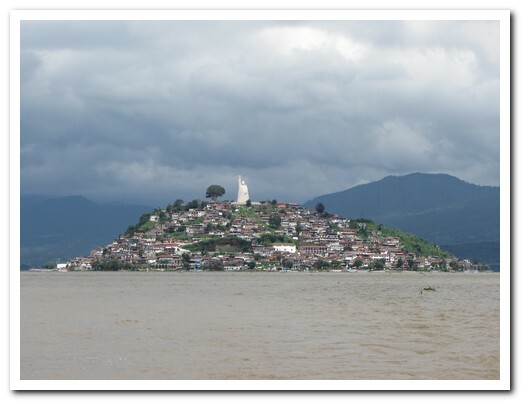 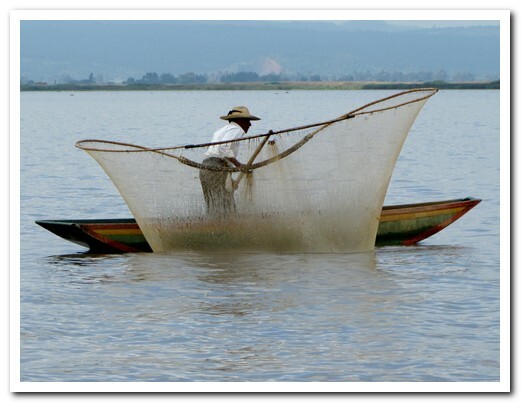 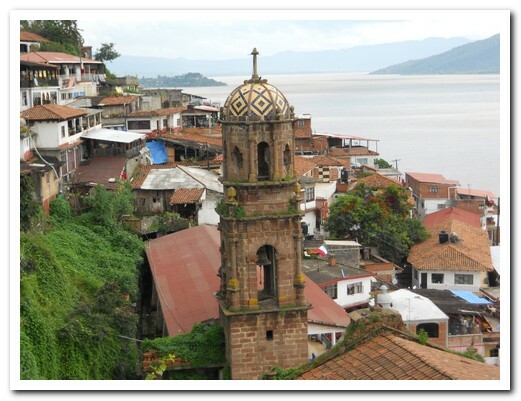 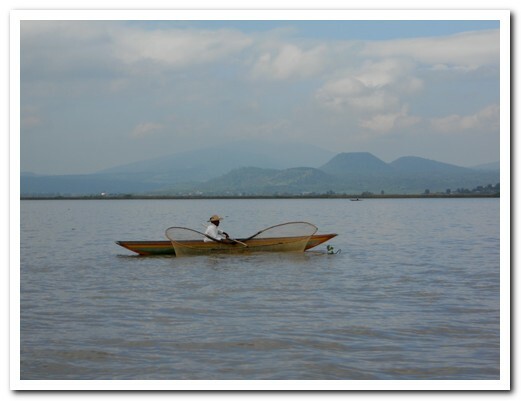 Janitzio is the largest of the islands in Lake Pátzcuaro where the men use large butterfly-nets to fish from small wooden boats. 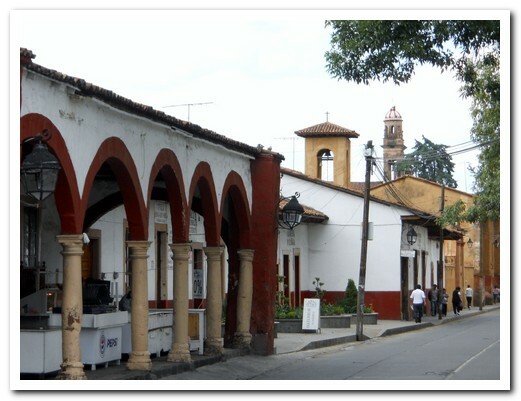 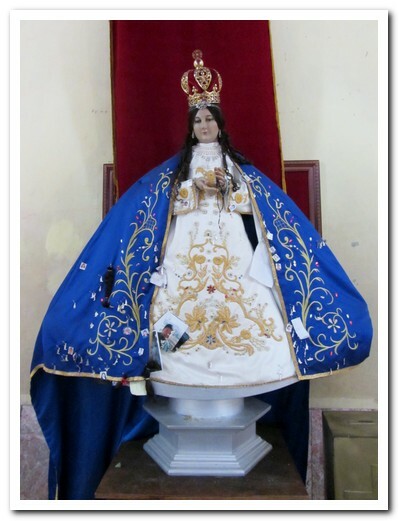 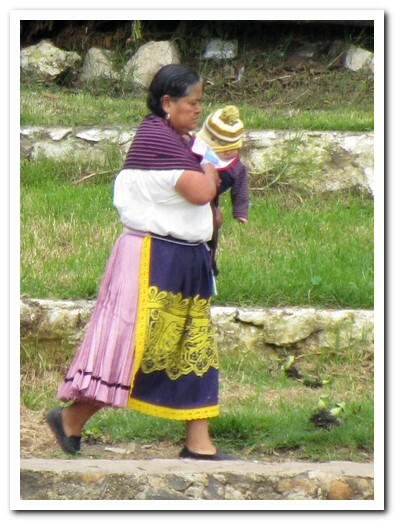 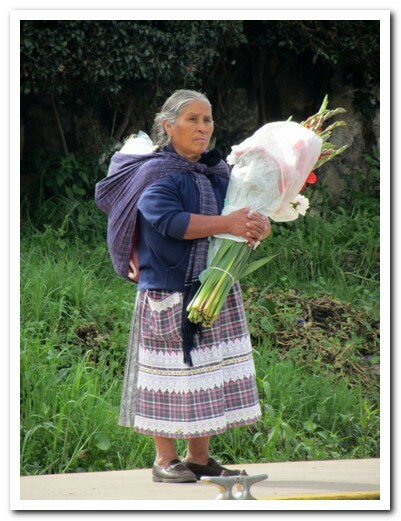 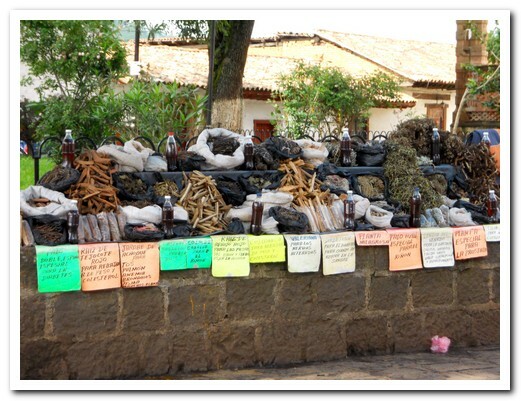 We took a local bus to Uruapan, an hour from Pátzcuaro, to visit the National Park which is in the centre of the town. 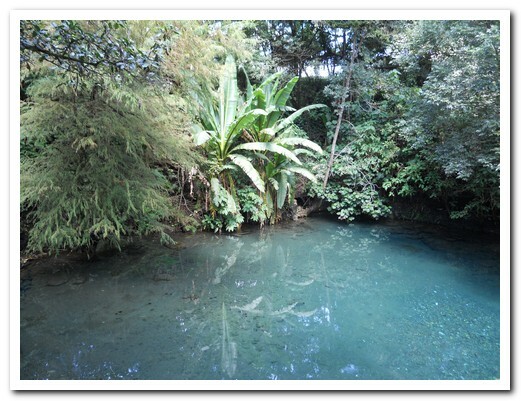 Water gushes from underground creating a lush rainforest environment, home to many species of plants, animals, birds and butterflies. 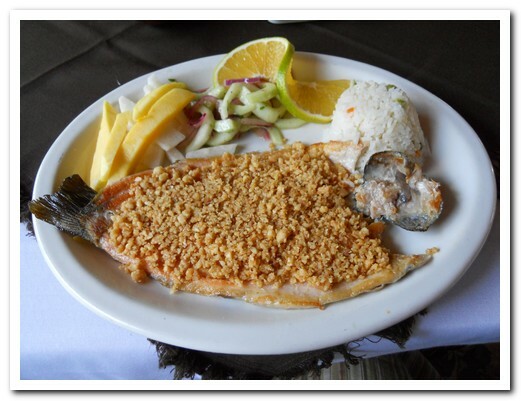 Trout raised in the streams and covered with macadamia nuts made a delicious lunch. 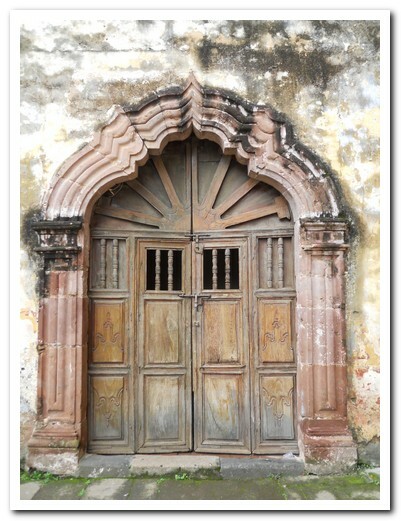 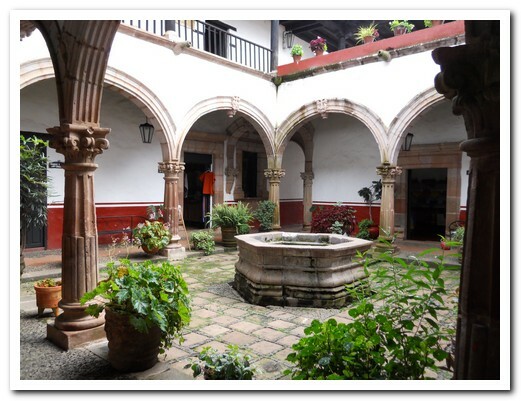 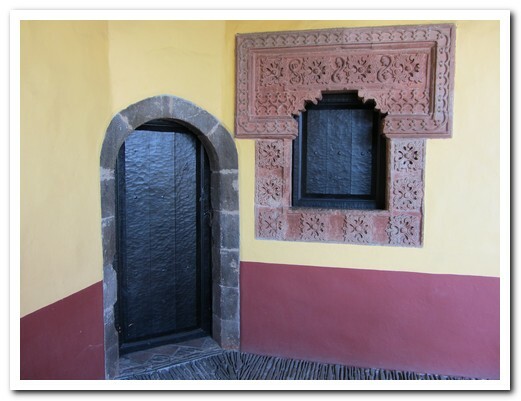 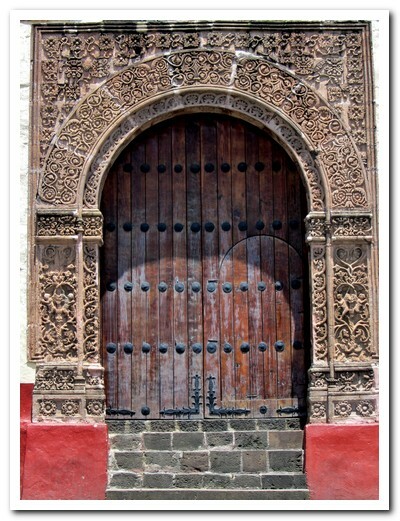 In the town is the first hospital in the Americas, with doorways and windows carved by Purepécha artisans in the Mudéjar style 4 centuries ago.